I made fun here of a sailing club I used to belong to, calling it Goose Poop Beach Sailing Club. Truth is that the years I spent there, with good friends and my own kids, were some of the happiest sailing experiences of my life. It's strange how those little lake sailing clubs like GPBSC often develop some of the best racing sailors in the country. 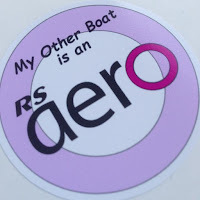 It also dawned on me this week that four of the kids who dominated the racing at GPBSC when I was there have, as adults, all gone on to make interesting contributions to the sailing world in quite different ways. 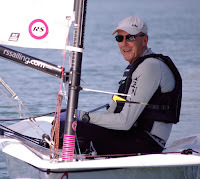 One is the President of the US class of one of the most popular sailing dinghies in the world. Another is the North American Marketing Manager for one of the largest manufacturers of small sailing boats in the world. The third was part of the design team for a US America's Cup syndicate. And the fourth worked as an engineer for one of the leading nautical rigging and hydraulics companies in the world. It's amazing where the journey leads when you start from Goose Poop Beach. It is interesting to note that all of the people you mention came from a "family" that sailed. They traveled and participated in regattas with their Dads. Sadly, that seems to be a rare thing today. It seems like most parents spend an excessive amount time in powerboats watching their kids rather than sailing with them. This might be because the optimist class eliminates the opportunity for parents to sail with children, and it becomes habit there after. While the optimist is a great boat for learning, I think lack of families competing together is a very unfortunate side effect of our current youth development track, and has hurt our sport. Over the last 20 years, it has become very common for both parents to work. Therefore, it seems logical that on weekend parents would want a personal outlet, and to be able to share time with and support their children. While the "Mommy Boat" trend shows a great deal of dedication by parents, and provides a means to spend time with children, it does not provide a recreational outlet for parents. Families are what makes grass roots programs like that of GPBSC successful. Hopefully the leadership in our sport recognizes this and takes action to return the family unit to our sport.